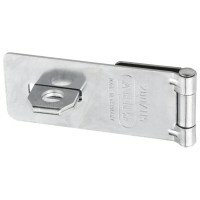 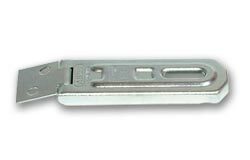 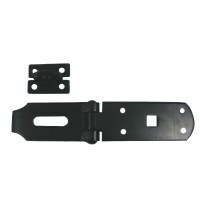 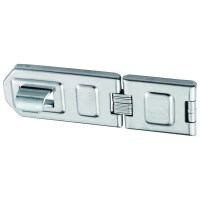 A simple hasp and staple made from hardened steel for low to medium security areas. 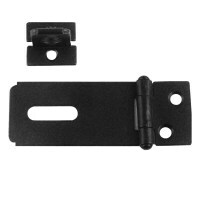 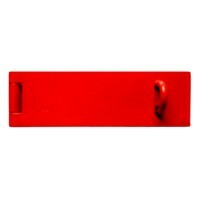 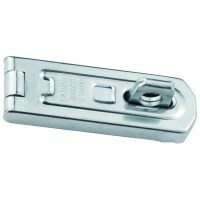 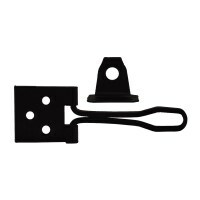 These hasps cover all fixings when in the locked position or supplied with concealed bolts. 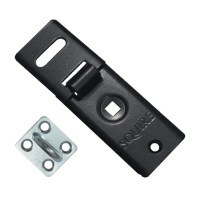 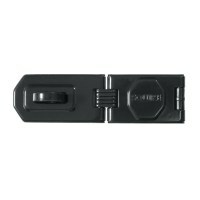 Available from ABUS Locks, Asec Security, Crompton Hardware, Kryptonite and Squire Locks in black or silver. 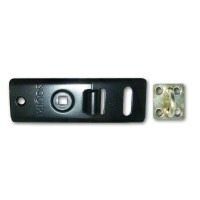 Ideal for use with all types of padlock. 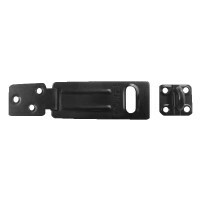 Single Link Hasp and Staples can also be used as Garage Locks.